Smartphone manufacturers are considering more attention on the durability of smartphones. OUKITEL is one of them who is doing good in this field. Recently OUKITEL introduced another shock-proof smartphone C5 Pro. Hit by a hammer, knock nails into wood, drop from top head, there is not any scratch or crack on it. C5 Pro screen has gone through several process to be toughened before putting into massive production. It passed several tests like dropping, slide dropping, twists, high temperature, low temperature, rolling tests, etc. to ensure the materials conform to our standard. Another good news is that OUKITEL C5 pro will pack a silicone case as standard package. The silicone case is also special designed to protect the screen. With the silicone case, even drop in the 4 corners angle, it will survive. So users don’t need to worry about the device from suffering damages by dropping. 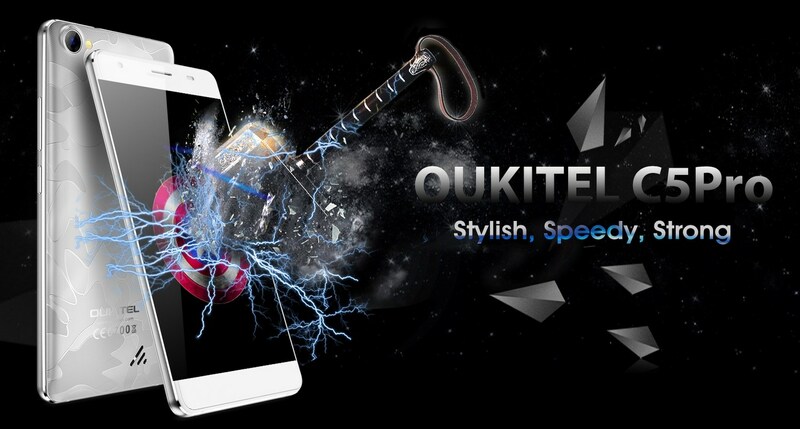 OUKITEL C5 Pro is already released on OUKITEL official website, to know more, click here. Presale flash sale will start next week at a big discount price. Authorized stores could be found on OUKITEL official store page.